Tired of your bedroom set? A custom headboard and new bedding is a quick way to modernize a bedroom or a four poster bed. We made beautiful shams and one large pillow, to avoid the need to remove lots of pillows every evening! 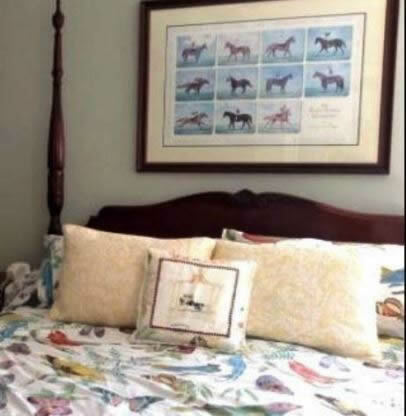 It's amazing how much custom bedding changes a room! 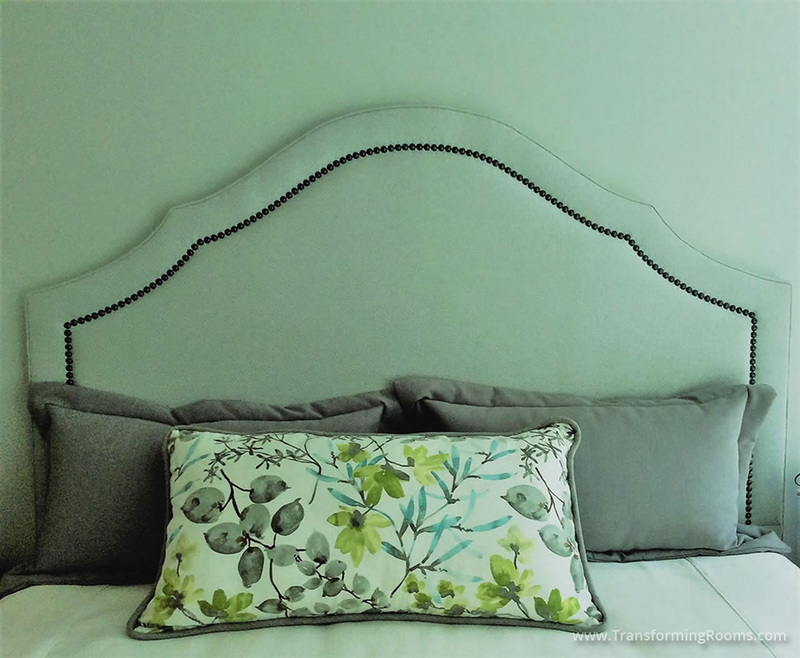 Notice the nail head trim which accentuates the shape of this king headboard. We recommended a Sherwin Williams gray wall paint to coordinate with the fabrics.